Italian webzine Hardsounds calls GONE IN APRIL‘s album “an album for everyone, cialis sales energetic and full of melody”! The album “…will satisfy the most diverse musical appetites.” Yanic played drums and also recorded and mixed the album at WaveTransform studios. 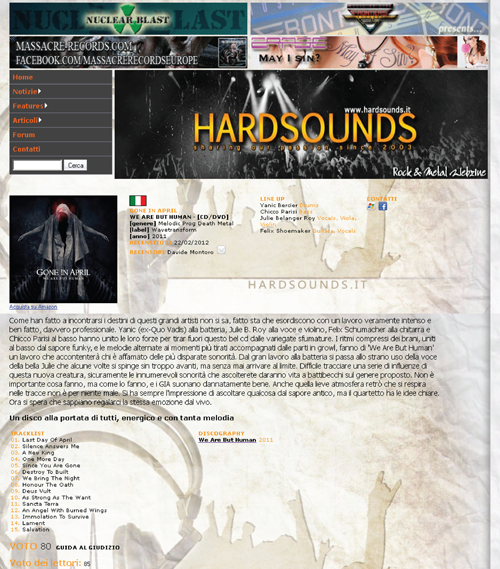 The article in Italian can be found at the Hardsounds site. The English version is also available.